2 Regal Behemoth = 2 extra mana? Trample When Regal Behemoth enters the battlefield, you become the monarch. 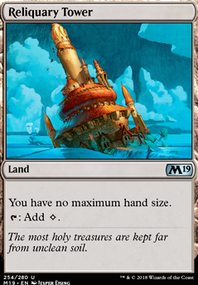 Whenever you tap a land for mana while you're the monarch, add one mana of any color to your mana pool (in addition to the mana the land produces). Soon I will hopefully be able to get some cards so I will be looking into cards to get, I will be getting some more ramp spell and removing the elves. What are the cheap cards I should prioritise getting other then the ramp. I do intend to get Regal Behemoth eventually but not at the moment. triproberts12 I've looked at those links and they are very helpful, should I put all dinos i have in the deck or only good ones? I think it’s would be really useful for you to go and have a look at the website EDHREC’s Gishath page to see what other people are running in these decks. There are a lot of better cards you could be running. 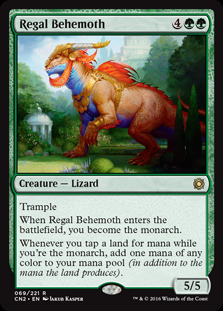 Cards like Regal Behemoth are a must include. 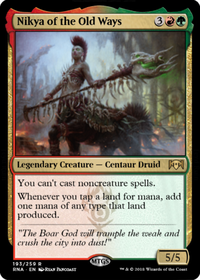 What’s important is that you flip more dinos with Gishath, so you probably, contary to what had been said before, run ramp spells and leave your creature slots for more Dinos. You want to get Gishath out as quick as possible so ramping is very important. 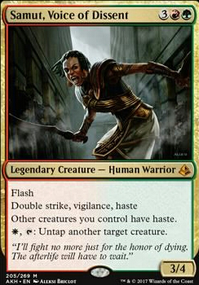 Once you’ve got them out you ought to protect them, with spells like Boros Charm and the like. That is what my decklist focuses on. Take a look at what I run I think it may help out a lot. 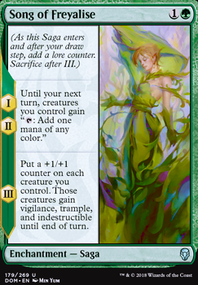 If you want to take more turns a great way to do that with yeva is have Seedborn Muse in play. Craterhoof Behemoth shouldn't be your only finisher. Triumph of the Hordes is a great finisher. Mana doubling is great in mono color decks. Regal Behemoth will do that and draw you cards. Pathbreaker Ibex is a cheap and reusable finisher. Genesis Wave is a green staple for finishing the game. 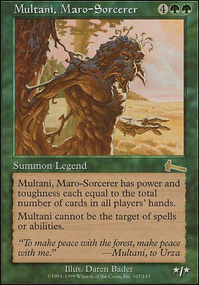 I have a mono green deck right here and is packed for of 4 yrs of development, you should take a look and get some ideas of certain cards you might want or like to have. Like Akroma's Memorial when this lands on the battlefield I feel invincible. I could pick every card in your deck for a better card like Duskdale Wurm for Elderscale Wurm but I'm only gonna do that if you want more suggestions from me.